This week our Colour Creation is Real Red What a lovely colour it is. 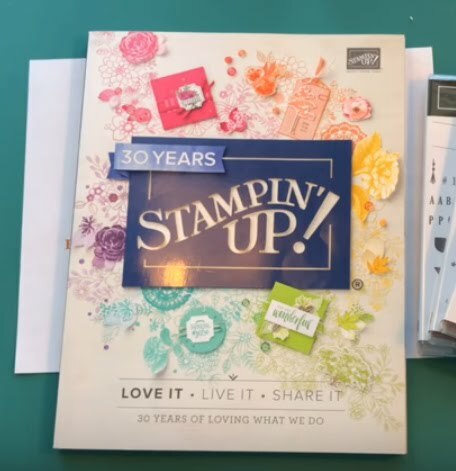 So Regal, oh and guess what it's in the regal colour range here at the Stampin' Up! colours. 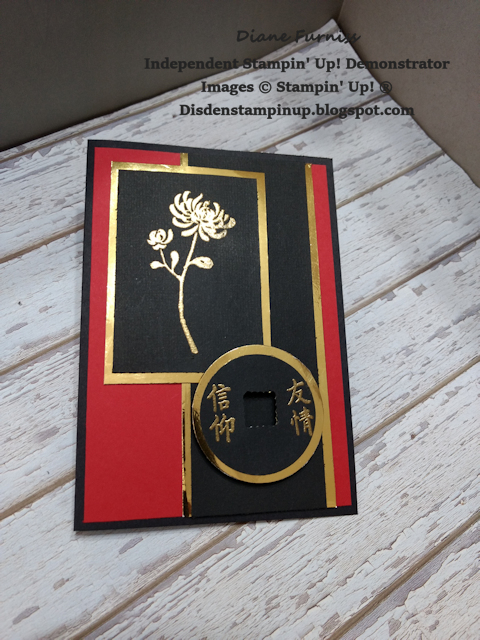 Because it's such a lovely Red I thought it would be nice to make a lovely Asian inspired card with Basic Black and Gold so here is my card. Sorry the lighting isn't too good this week but with the weather turning real wintery I was finding it hard to get a good picture. But I think you can see the card OK. I started with a Black base card and added the Read Red and Gold foil Card to the card front along with more black. I stamped my images using versa mark and gold embossed them using the Artistically Asian Stamp set (Which I love) them images are mounted onto more gold foil card and then I used Diemensionals to give them some height. 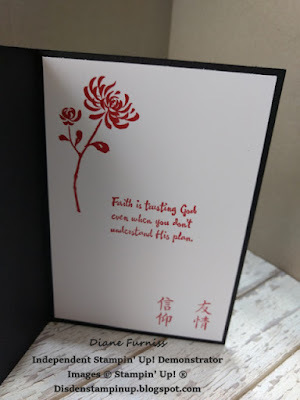 I used white card for the inside of the card and stamped it using Real Red Ink. I must say I was pretty impressed with how it all turned out. Diane your Asian card is stunning! 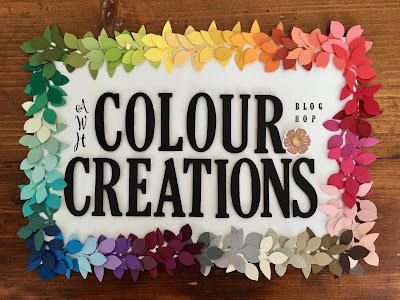 Thank you so much for hopping along tonight on the blog hop! Wow, this is such a great colour combo for an Asian inspired card. Fabulous card! Diane your card is so elegant. Red, black and gold certainly remind me of the gorgeous little envelopes that are given out when celebrating Chinese New Year. Love your card Diane. Striking colour palette staying true to the theme. Red, gold and black just look stunning together Diane. Mothers Day Book Card & Box with Stand.